Strawberry Blonde Salon carries a large variety of professional beauty and hair care products including the latest innovations and highest quality products available. Listed below are the professional products we choose to work with daily, however there are some others we also endorse. These products use only the finest ingredients and have been proven by the industry over time. Please feel free to visit these lines on the web for additional information. 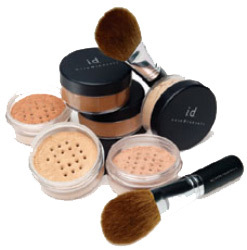 We carry a full line of Bare Minerals make-up and Rare Minerals skin care! Leslie Blodgett, the CEO of Bare Escentuals, has been a a pioneer in bringing the extraordinary 100% pure and healthy beauty products she loved into the hearts and homes of women everywhere. Transformation... after just one use. 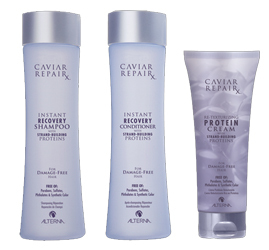 Since 1997, Alterna has pioneered luxury haircare. Whatever your haircare need, we believe that you shouldn't have to choose between clinically-proven, salon-tested results & natural, good-for-you ingredients. That's why our products are: Pure. Proven. Professional. PURE Caviar, Seasilk, Bamboo, Kendi Oil & more—these precious, sustainable ingredients deliver pure, powerful benefits. And what we leave out of our products is just as important as what we put in. We believe beauty products should be FREE OF Parabens, Sulfates, Phthalates & other harsh or unnecessary additives. So important to us, this FREE OF claim appears on the front of every Alterna bottle, along with our commitment to eco-friendly packaging & fair-trade practices. 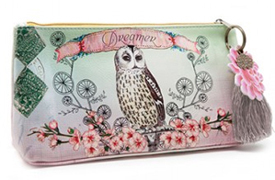 Although not presented as such, Enjoy's ingredients are are carefully chosen to make up this vegan line. Enjoy hair care is a unique line of hair products. 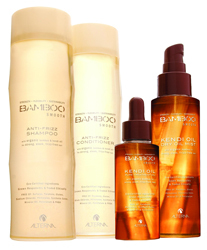 Containing no sulfates in their shampoos and Cleanse Sensor Technology to ensure the proper treatment of your hair type. Spritz the bowl before you go and no one else will ever know! Leave the toilet smelling better than you found it. Poo-Pourri is a blend of essential oils that virtually eliminates bathroom odors! Poo-Pourri award-winning before-you-go® sprays come in a variety of scents and sizes. We carry several scents and sizes.